We have some exciting and long awaited news! Fox Star Studios and debutant director, Mukesh Chhabra have decided to call the Sushant Singh Rajput and Sanjana Sanghi starrer Kizie Aur Manny. 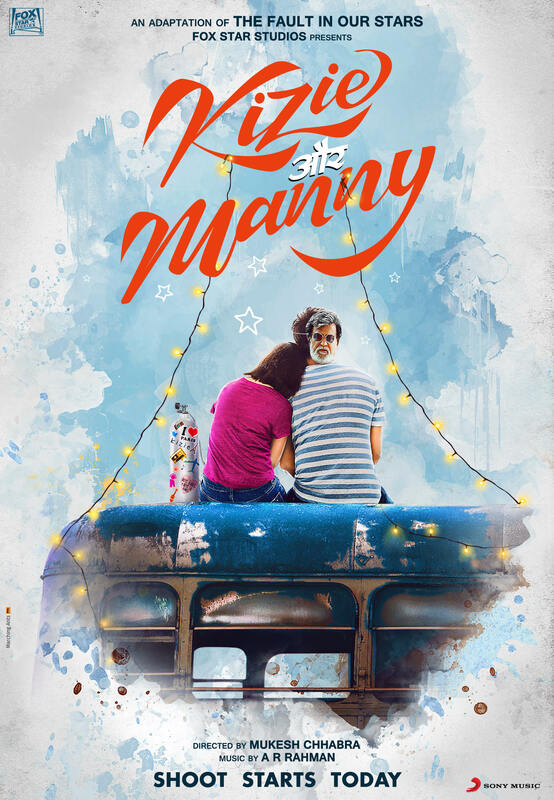 The adaptation of the hugely successful Hollywood film The Fault In Our Stars based on the bestselling book by John Green, Kizie (played by Sanjana) Aur Manny (played by Sushant) is a heart-warming love story about 2 youngsters who take you on a journey of love, life and hope against all odds. We also have learned who will bring the music to life for this exciting film! Music played a pivotal part in the Hollywood film and to create the same magic in the indian adaptation of this romantic drama, academy award winning music director A R Rahman will be composing the soundtrack for the film. We can’t wait to see and hear more!